2012. 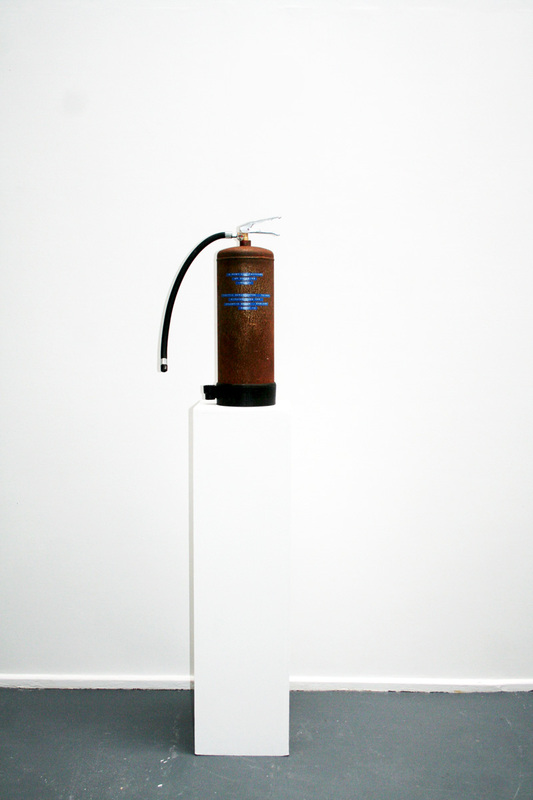 Digital colour print of action in ocean, 42 x 29cm and water extinguisher made of steel, rubber, plastic and rust. Water from the Pacific Ocean, Taiwan, was collected in person during typhoon Nanmodal in August, 2011. This Pacific Ocean water was filled into a 9 litre water extinguisher, pressurised and then taken to the Atlantic Ocean, England and released in spray form into the ocean, effectively transferring a part of the Pacific Ocean into the Atlantic Ocean.